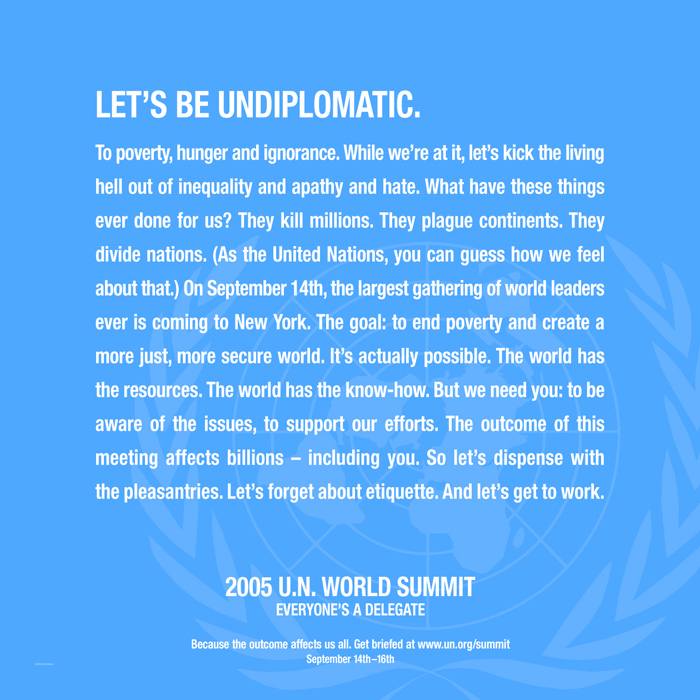 The United Nations was holding a World Summit in New York. And while that was a great honour for the city, it meant disruption for the inhabitants. 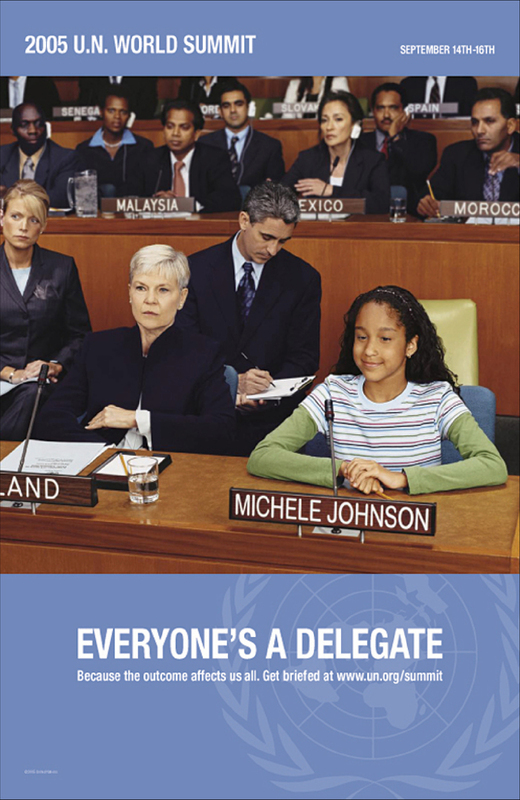 With this campaign we wanted to highlight the fact that the outcome of the summit affects everyone – in short that ‘Everyone’s a delegate’. 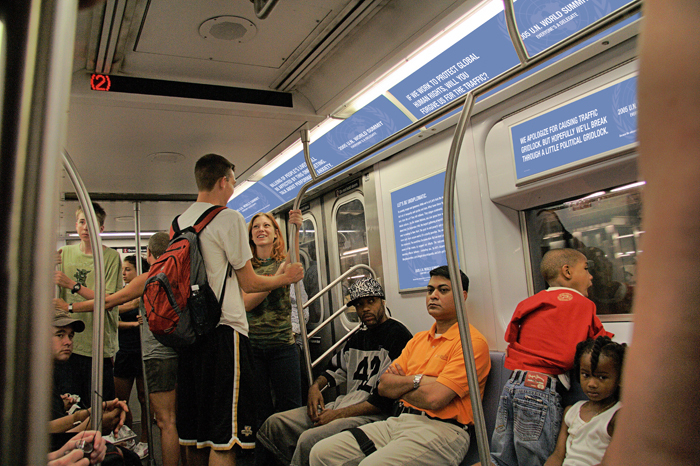 We made light of the disruption to everyday lives in a way New Yorkers could appreciate, while ultimately reminding everyone that it was all for an important cause. 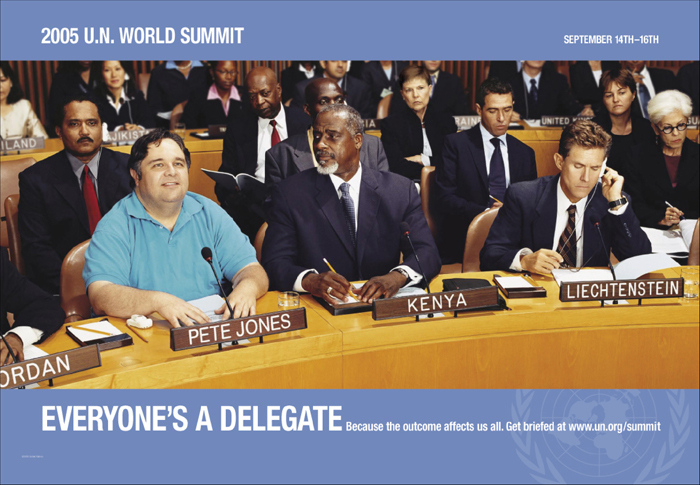 This campaign was featured in the D&AD Annual.